Travelling over the holidays can be a pain, especially if you have a lot of luggage with you. Having to carry all of your bags and suitcases with you wherever you go can be a drag when you’re in a hurry. The launch of one new invention hopes to make that travelling aspect an enjoyable experience. 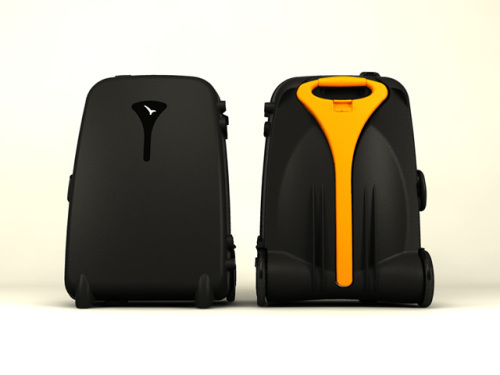 Live Luggage has created Power Assistant (PA) Luggage , the world’s first motorised suitcase. The device works through motorised wheels which operate when the suitcase is pulled along. The motors respond to an increase in angle or difficult surface and help an individual by giving extra power to pull the suitcase. One unique fact is that the manufacturer has stated that if a PA Suitcase weighs 30kg, it will only feel like 3kg because of the handle and motorised wheels. - An anti-gravity handle that puts 85% of the weight over the wheels. - Force sensors and tilt switches. - Stress frame technology for additional strength and weight reduction. - TSA approved combination locks. - Live Locator ID – a unique ID used to help locate a suitcase if it becomes lost. - A rechargeable battery pack that’s charged the same way a mobile phone is. The PA Luggage suitcase is a great alternative to ordinary suitcases as it’s easy to use and creates less of a hassle when roaming around airports and bus stations. To find out more information about the product, you can visit the company’s website . This product may be too heavy! This company has missed the mark for air travel. It is not clear how much the motor/battery adds to the weight of the suitcase, but the trend is towards lighter, not heavier. If the full suitcase weighs 30 kg as in the example, then it will qualify for excess weight penalties on most airlines. Many of the airlines are down to 20 kg limits and they seem to be getting lighter in their allowances. Give me a traditional suitcase on wheels that weighs almost nothing.